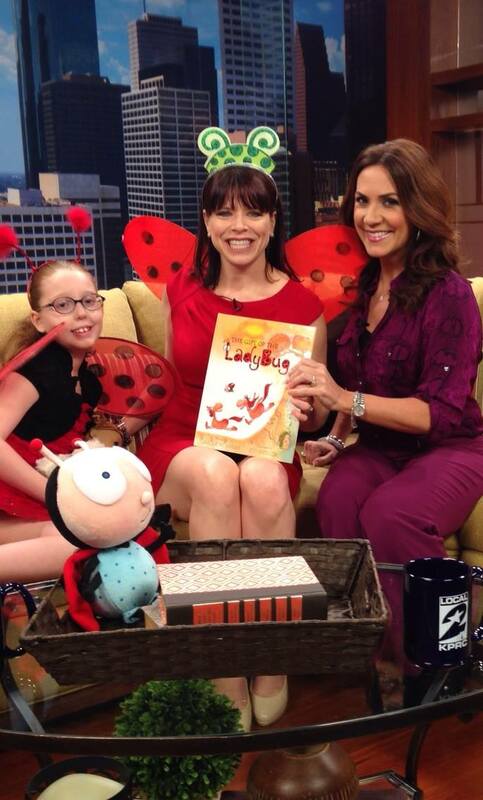 Carole Amber is the author of the beautiful book, The Gift of the Ladybug, which she wrote to share her son TJ’s story and communicate the experience of discovering that you are parenting a different kind of child than you expected. Her son had mitochondrial disease like K, though he had a more specific form called Leigh’s Syndrome, which is more severe and takes kiddos much too soon. Her sweet boy passed away at 14 months of age, but he taught his mama so much about what is important in life and she has carried on his legacy in an amazingly beautiful way! 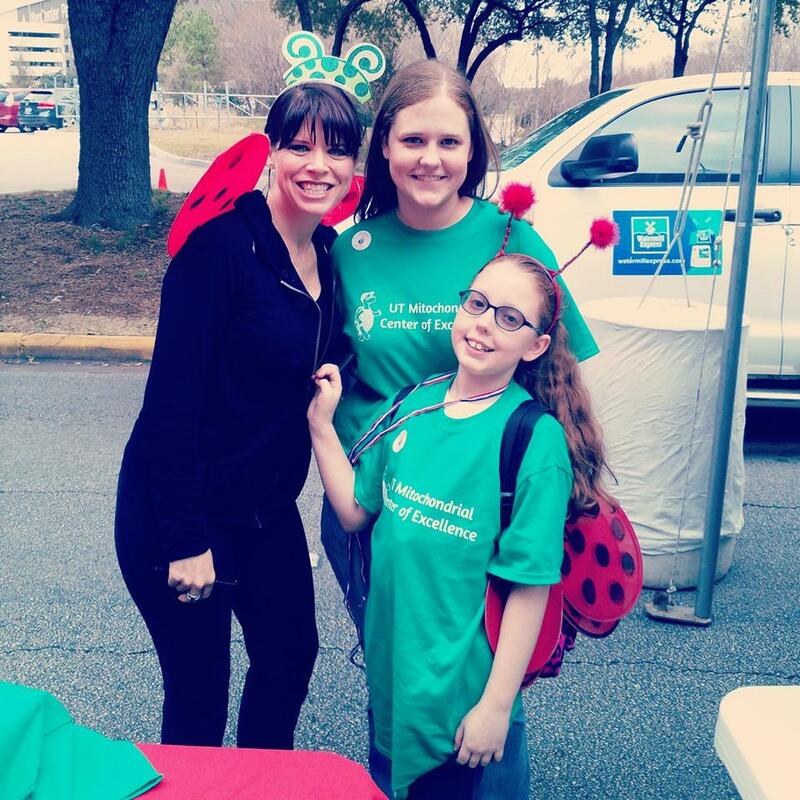 This past week was Ladybug Celebration Week, an event meant to celebrate kids with critical illnesses and medical differences and honor TJ, and K was lucky enough to be chosen to be a part of this amazing week! 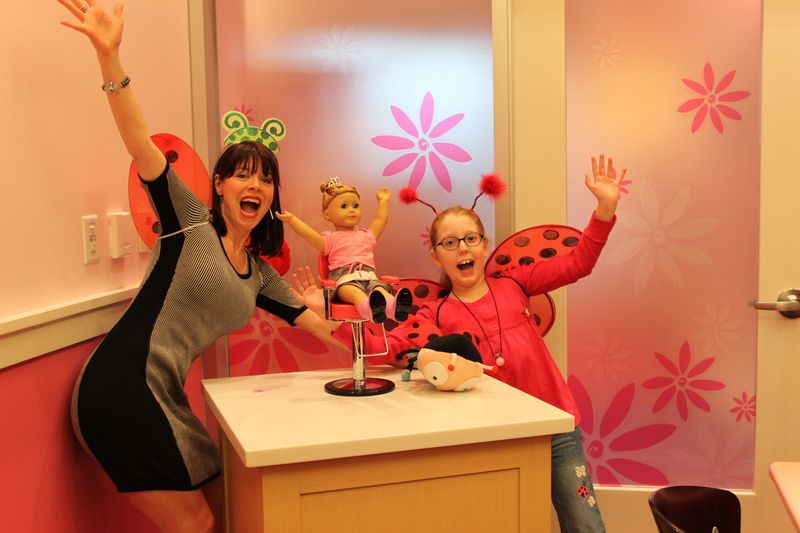 Friday morning, I picked her up early from school and took her to the Ladybug Party that her mito clinic was hosting, where she got to be Queen Ladybug (though, she decided to let Carole be the Queen and she would just be a Princess). K, who does not seem to have a shy bone in her body, made fast friends with Carole and so began our wonderful weekend. The party was so cute and fun; crafts, activities, a special reading, and book signing. Paperback copies of The Gift of the Ladybug for all the kids were donated by the Monteverde Group and Highlights Magazine had donated items as well, so neat! The best part was seeing our sweet friends! 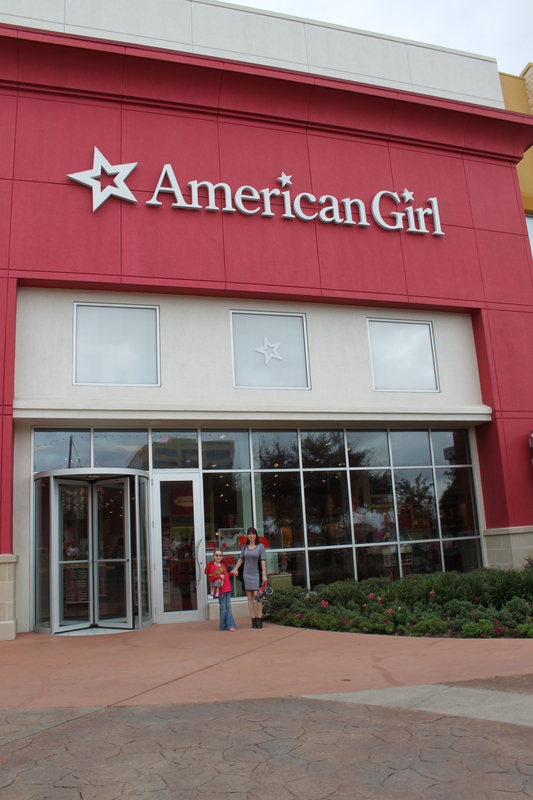 After the party wrapped up, we headed over to the American Girl store (K was so excited Carole rode with us in our car. An author! In OUR car!!). 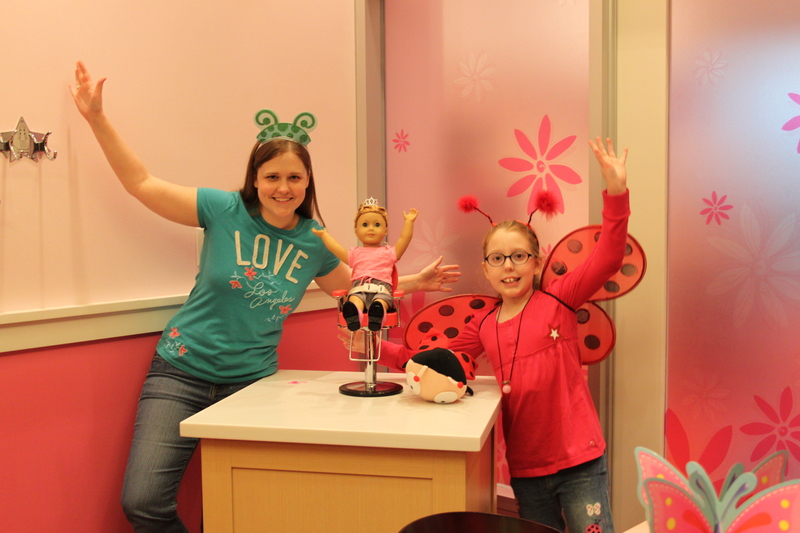 They took us to the private party room which was decorated with such adorable ladybug stuff, and got K’s doll, Lily, all set up with her own chair and cup and plate set. K got to sit in a big pink throne! They were aware that she doesn’t eat typically and were so accommodating. 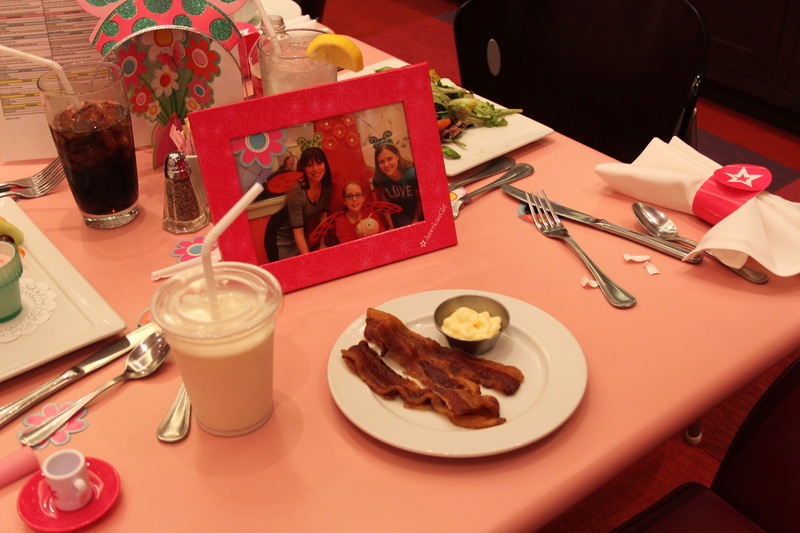 They asked what she wanted to eat and she asked for bacon and mayo (Hellman’s preferably!) and they went to cook some up for her! Unfortunately, it did not pass her rigorous standard, but it was a very, very kind gesture and to be fair, our bacon at home doesn’t meet her quality control standards so the odds were not in their favor. She also ordered a pizza, which she did not eat, and some milk which I had to encourage her to drink some of so we didn’t get a dippy glucose in the midst of our fun! They also had an extensive gluten-free menu which Carole and I enjoyed. Each of the staff members were so kind and attentive, it was a great experience! 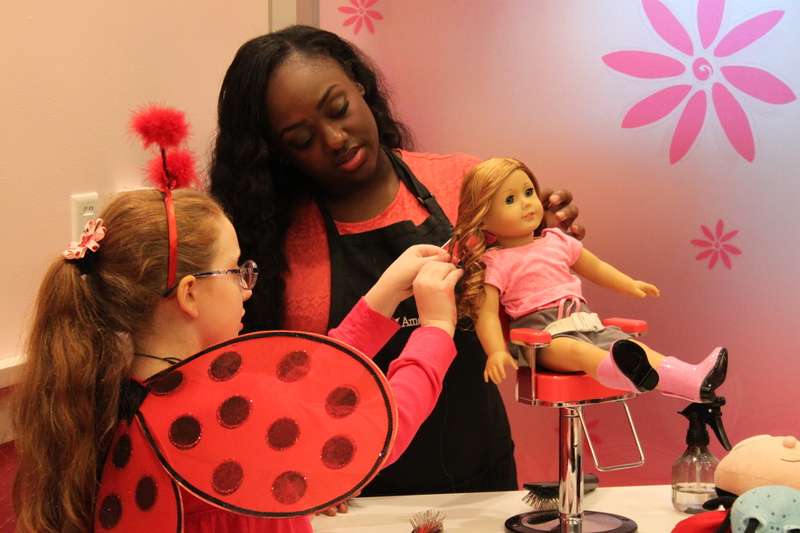 While we were eating, a salon worker came in and let K pick a hairstyle out for Lily and then got to work on her, right there in the room with us. She also gave K some pointers on how to care for Lily’s curly hair. So fun! After eating and chatting for a while, we went to browse the store so K could pick a doll. She was leaning towards Isabelle from the start, but still wanted to check out the competition. While we were browsing, we passed by the car wash set which K has been mooning over for years now. Every time we get a catalog, she talks and talks about this thing. 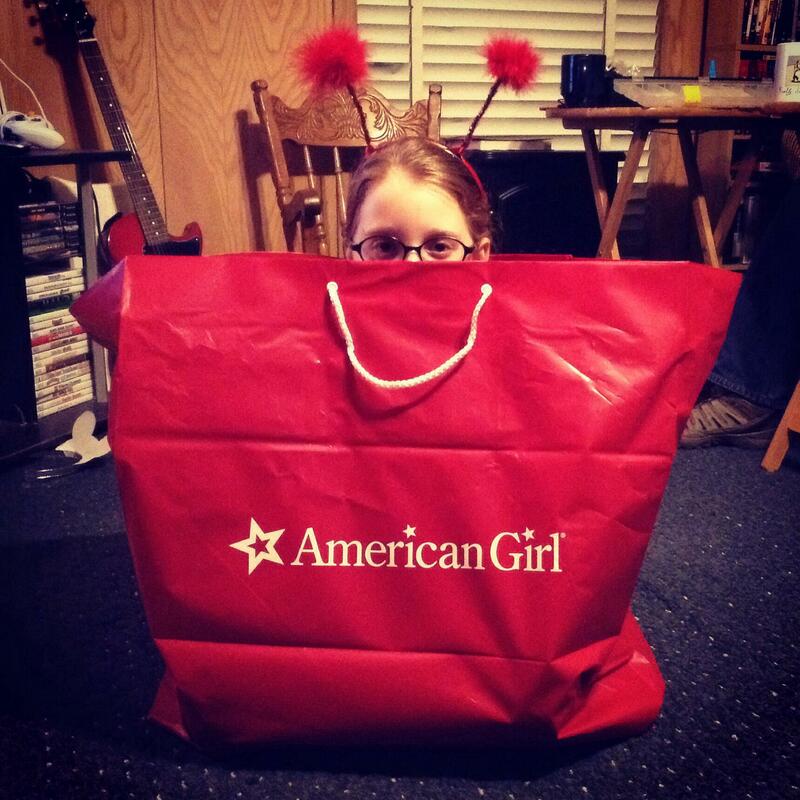 The day before, I had asked her brother “What are K’s favorite American Girl things? What does she talk about when she is looking at the catalog?” and he said, “That crazy car wash set! That’s all she ever talks about!” So of course, she said something like, “Oh, I wish I could have that.” while staring at it dreamily, but I reminded her that we were doll shopping and she let it go easily and we went on our way. After making the rounds, she finally settled on Isabelle. I think the pink highlights in her hair were the biggest selling point! We went back to the party room and they brought out an adorable cake for K, which she did not eat (sensing a theme?) but was so thrilled with anyway! We sang “Happy Ladybug Day to you!” instead of “Happy Birthday!” and then she made a wish. We all had a little dessert (K opted for vanilla ice cream, which she did eat a little of). Carole excused herself to go to the restroom and go get Isabelle and Coconut (a dog K had also picked out) from the register so we could get a picture of all of K’s fun goodies before we wrapped up our exciting afternoon. She was gone a while and at one point K said, “She has been in the ladies’ room a long time! I hope she is okay!” She came back in and I started to excuse myself to go to the restroom, but she suggested I might want to wait a couple minutes and boy, was I glad I did! Shortly thereafter, they brought in THE CAR! What?! K’s eyes got huge, but she didn’t really say anything at first. She told me she thought it was just brought in for the picture. Then she asked, “Is it for ME?” The answer was “Yes!” and then she lost her mind! I wish I had gotten a video, but I do have very bouncy pictures of her joy and photos of her hugging both Carole and the car. And I’ll keep those memories in my heart forever, video or no! It was definitely WOW moment to cap off all the other WOW moments of her day! It was truly a day that was BEYOND words and meant so much to both of us. I told Carole that long after we are all dead and gone from this world, there will be a little crater in the earth right in that spot that says “Joy Exploded Here”. It was the BEST Best Day Ever that we have ever had! I don’t think there was any possible way to make it better. Carole is such a sweetheart and we enjoyed every minute with her! 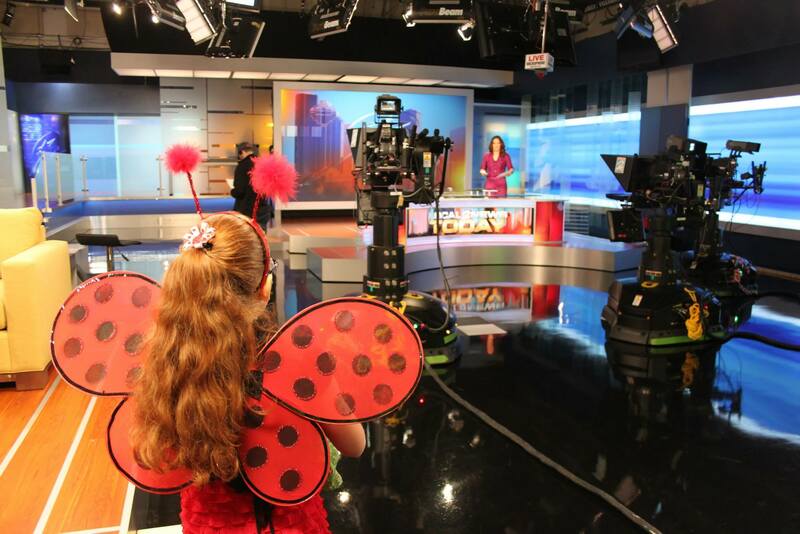 I love this photo of my little anchorwoman checking out the real news room! 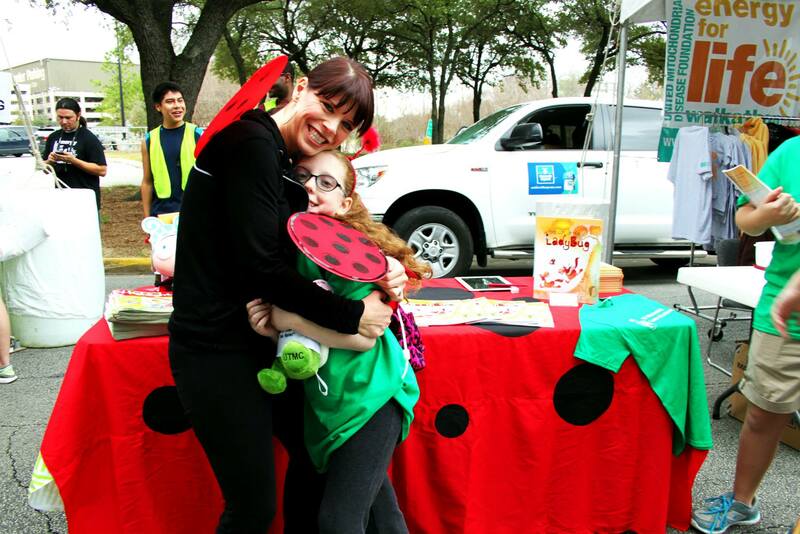 After we wrapped at the studio, we came home to rest just a little and then it was time to go to the Energy for Life walk! This was our first year to participate and it was a wonderful experience. 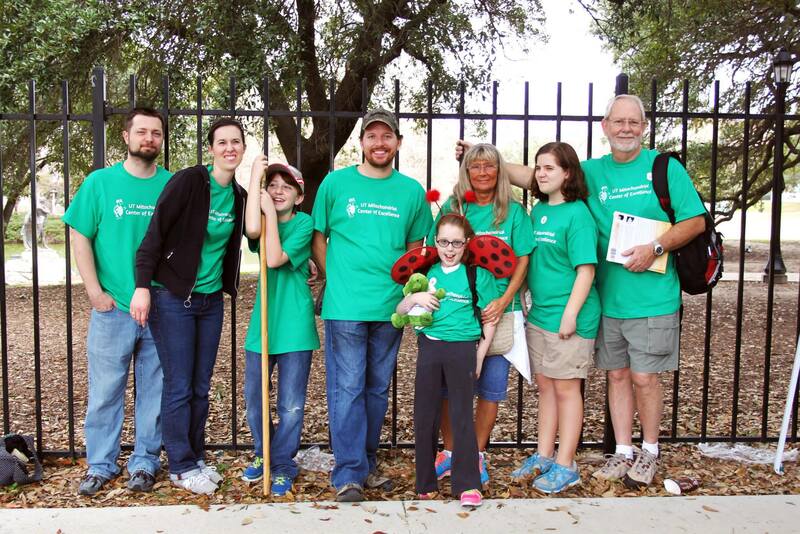 We walked with K’s clinic team and it was great! 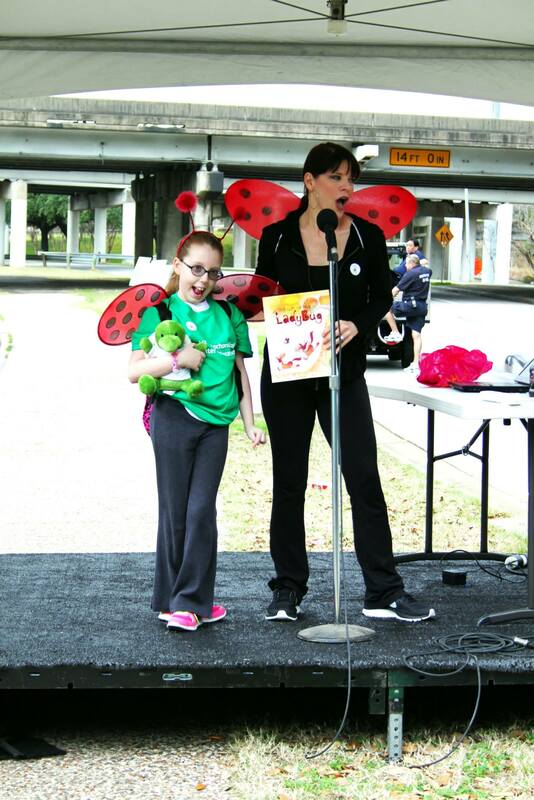 If you donated to K’s fundraising efforts, we cannot thank you enough! It will go to a very good cause, trying to find a cure for our little ladybugs to make their short and sweet lives a bit longer! Thanks to all of you who walked with us, too, or even expressed interest in walking with us. Next year we will know a bit more about the process and hopefully get another fun group together! We got to see Carole again, much to our delight, and K accompanied her on stage while she read The Gift of the Ladybug to everyone. As for me, I very much related to Luke 2:19 after this weekend, “And Mary treasured up all these things and pondered them in her heart…” I think it will take me a long time to finish pondering all of these treasures, but I sure am thankful to have them all stored up in my heart! Carole, thank you SO much for everything. What an incredible gift you have given to us! 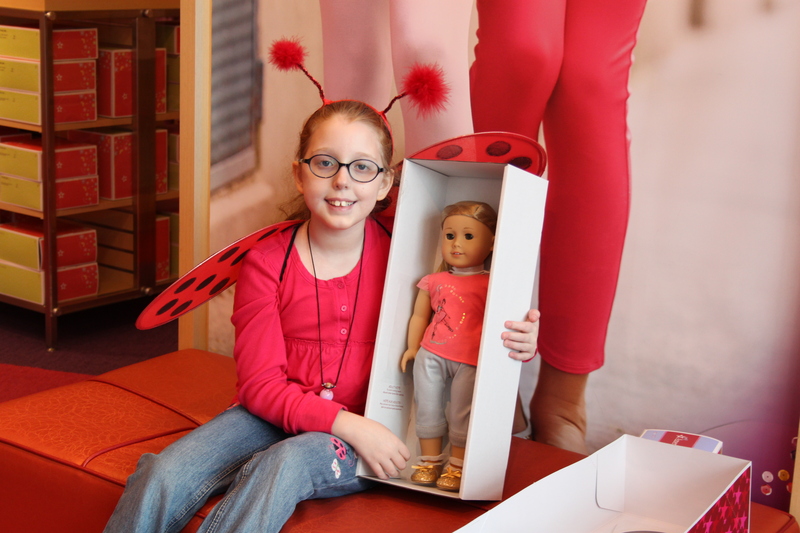 I’m so happy for Katie, she is such a special little girl and a blessing to all who have ever met her. Glad you had such a special day!! !